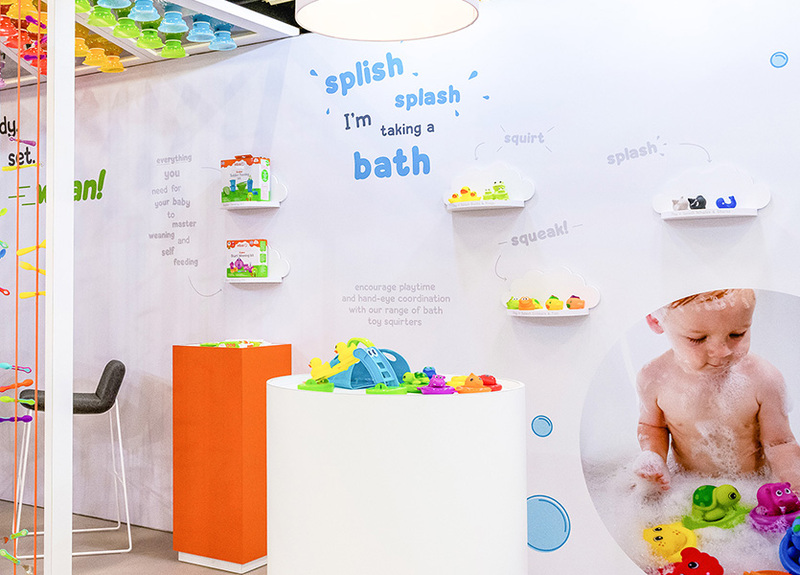 UK-based baby accessories brand Vital Baby was looking for a completely new concept for their stand at this year’s Kind und Jugend, Europe’s leading show for the infant and child retail market. Working in collaboration with our sister agency, Phoenix Wharf, we created a strategic and visually-dynamic 66 sqm stand aimed at attracting new international distributors and retailers for its extensive product range. We created a distinct stand architecture whilst also future-proofing the concept. Phoenix Wharf designed not only the stand but all graphic elements. Advising on a simplified approach, product category breakdowns and single examples of display items were created within a well-segmented stand that offered a clear journey and variety of presentation / merchandising methods. Stand-out features included a ‘new innovations hub’, with a playful curved archway entrance and an eye-catching Perspex ceiling section with inset products on strings. A welcome area featured a cut-out section in the shape of a cloud (a brand motif), whilst the orange of the brand identity was used for dotted lines, directing visitors across the grey vinyl flooring. Read more about our collaboration with Phoenix Wharf at Kind und Jugend here. The finished article communicated a major step forward for the brand via a clear narrative structure, focus product areas and impactful communications aimed at parents rather than children. 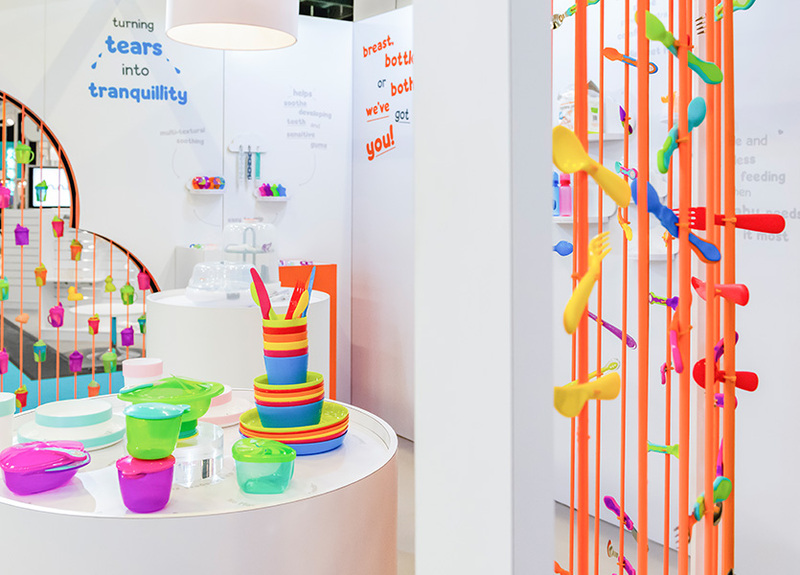 When we looked into new ways to present Vital Baby at Kind und Jugend 2018, we sent our briefs to a few different design and exhibition services companies, as we were unsure what we wanted. We knew we had to build our presence and grow our recognition with some very key retailers and distributors, we just didn’t know how.